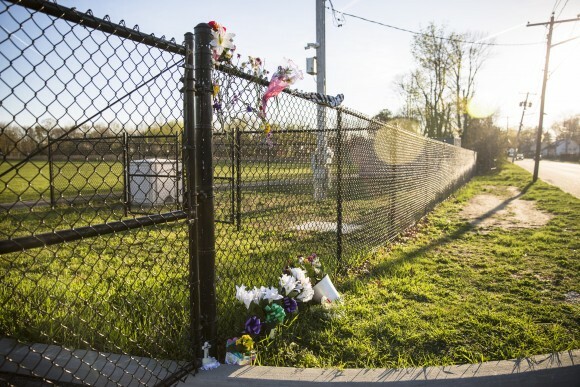 CENTRAL ISLIP, N.Y.—The air was thick with equal parts hope and frustration at a community meeting in Central Islip on April 18, just a few blocks from where four young men were found murdered less than a week prior. Politicians, law enforcement, and hundreds of citizens turned out to voice their fears and concerns. Rep. Peter King (R–N.Y.) spoke of the MS-13 gang, which police say is suspected to be behind the murders. “MS-13 has to be crushed, it has to be defeated, it has to be destroyed,” King said. He was echoing the sentiment coming from the top echelons of government earlier in the day. Homeland Security Secretary John Kelly called MS-13 one of the greatest hazards the nation faces at a speech at Georgetown University, and Attorney General Jeff Sessions said the gang might qualify as a terrorist organization. In his role as chairman of the subcommittee on counterterrorism and intelligence, King said he intends to hold a field hearing in Central Islip sometime in the next four to six weeks. “I can assure you, the federal government will cooperate in every way possible,” he said. 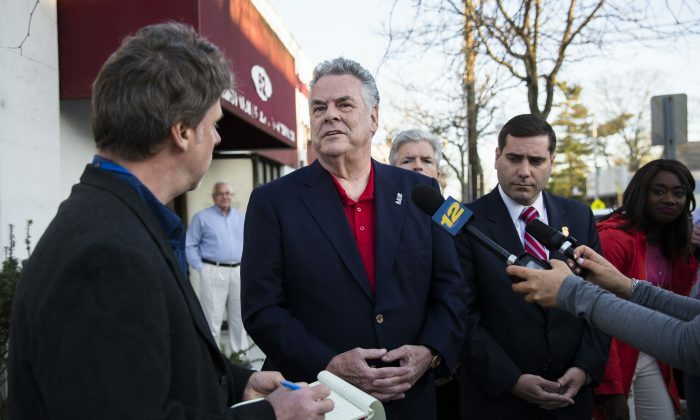 Suffolk County Police Commissioner Tim Sini appealed to the community for information. Sini said the police department works with the FBI to identify gang members. Police officers are then assigned to monitor particular gang members to collect further intelligence and help suppress crime. He said the department has arrested 165 known MS-13 gang members since the initiative started in September. Several MS-13 gang members were arrested on March 2 and charged with the murders of teenagers Mickens, Cuevas, and Pena, who were beaten to death in Brentwood last year. 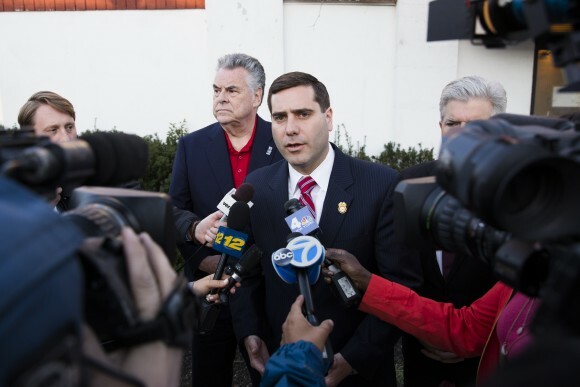 Sini said an enhanced police presence in Central Islip will remain in place indefinitely. Lenny Tucker, president of the Brentwood Association for Concerned Citizens, said the meeting was informative yet repetitive. “They’re singing the same song, but not getting any results,” he said over the phone after the meeting. Tucker, who was a corrections officer and gang investigator from 1988 to 2007, said he is readying his house to go on the market so he can move his family out of the area. He has lived in Brentwood for 19 years and will not be leaving unscathed. In 2009, at a lawn party out in front of Tucker’s home, a teen boy was fatally shot. Christopher Hamilton, a good friend of one of Tucker’s sons, was mistaken for a member of a rival gang and was shot by an associate of MS-13 who wanted to become a full member, according to the U.S. Attorney’s Office for the Eastern District of New York. Prospective members of MS-13 must kill someone before being inducted into the gang. The shooting was the impetus for Tucker, together with the Hamilton family, to form the Brentwood Association for Concerned Citizens, which runs events for youth to deter them from gang activity. “You wonder what you’re going to do if you get that phone call” from the police, to say your child has been killed. Tucker said the large numbers of unaccompanied minors that come through the southwest border is a big contributor to the problems Suffolk County now faces with MS-13. Central Islip and Brentwood are both in Suffolk County. Suffolk County has taken in more than 4,500 unaccompanied minors from Central America in the last 3 1/2 years—the third highest number in the country. After unaccompanied minors cross the border, they get placed under the Office of Refugee Resettlement. The ORR then sends the child to a sponsor, who is usually a parent or relative already living in the United States illegally. Nearly a third of Brentwood’s 60,000 residents hail from El Salvador, according to 2014 census figures. Almost 80 percent of the 59,000 unaccompanied minors crossing the southwest border in fiscal year 2016 were from El Salvador, Guatemala, or Honduras, according to Homeland Security data. In 2009, only 17 percent of the unaccompanied minors hailed from these three countries. Meanwhile, Central Islip residents are crying out for better lighting in local parks and a safe environment for their children.